Home Exam-Dates IBPS IBPS Exam Calendar 2019-20: Download Calendar & Check Exam Dates! IBPS Exam Calendar 2019-20: Download Calendar & Check Exam Dates! 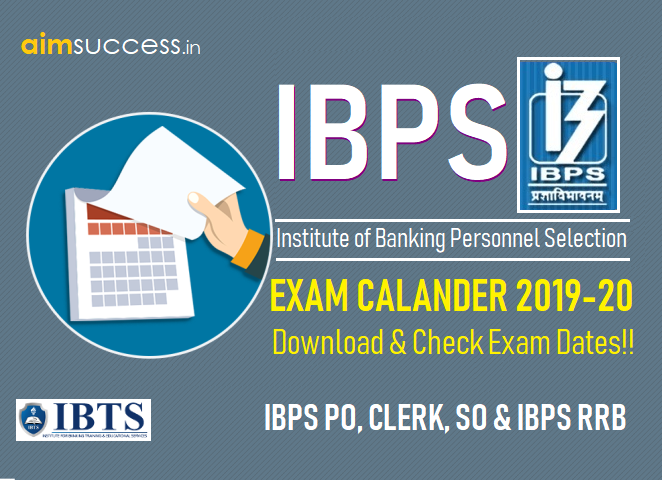 IBPS Exam Calendar 2019-20:Every year, in the month of January, IBPS (Institute of Banking Personnel Selection) publishes its exam calendar for next one year. IBPS has published a tentative exam calendar of IBPS PO, Clerk, SO and IBPS RRB Exams 2019-20 on 16th January. IBPS conducts the IBPS PO, Clerk, SO and RRB Exams every year to recruit staff and officers in different Public Sector Banks (PSBs) and Regional Rural Banks (RRBs). Join IBTS Institute for Bank PO & Clerk Exams Coaching - North India's Only & Best Institute for Bank Exams Coaching, Full Study Materials + Best Faculty + Free Demo. Highly Experienced Team. Highest Success Rate. Hostel Facility.